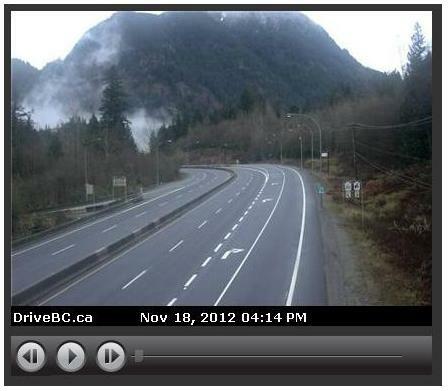 A few months ago we did a Tell TranBC survey asking where you’d like to see more BC HighwayCams. We received more than 730 responses and captured the highlights of your suggestions in a blog. Many of your suggestions were identified as “coming soon” and this week we are happy to announce that we recently added eight new cams to our repertoire, a couple of which you might recognize. 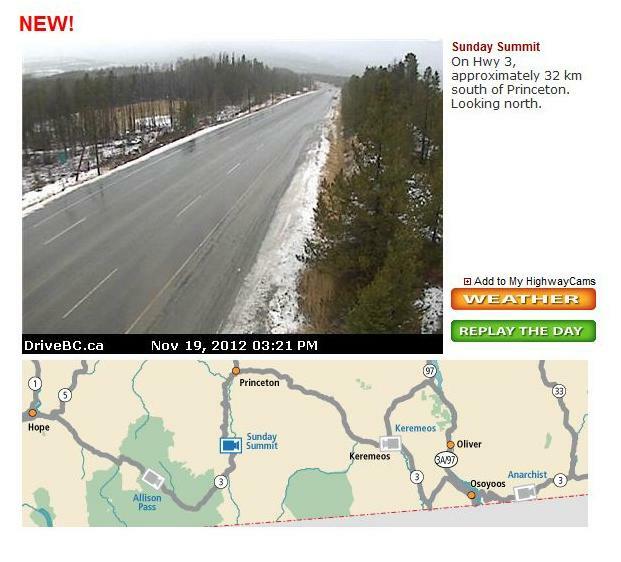 Sunday Summit, just South of Princeton on Highway 3 (above)has a new BC HighwayCam to help you know before you go, as does the Junction of Highway 3 and Highway 5 just outside of Hope(below). Here is a complete list of new webcams. We are considering more of your requests for next year’s selection of locations, so stay tuned. Clearbrook-W Hwy 1 Lower Mainland Hwy 1 at Clearbrook Rd., looking west. Clearbrook-E Hwy 1 Lower Mainland Hwy 1 at Clearbrook Rd, looking east. Clearbrook-N Hwy 1 Lower Mainland Hwy 1, looking north on Clearbrook Road. Clearbrook-S Hwy 1 Lower Mainland Hwy 1, looking south on Clearbrook Road. Sunday Summit Hwy 3 Southern Interior On Hwy 3, approximately 32 km south of Princeton. Looking north. Big Bar Hwy 97 Southern Interior Hwy 97 – 8 km north of Clinton just before Big Bar rest area, looking north. Hwy 3 at Hwy3/5 Jct-E Hwy 3 Southern Interior Highway 3 at 3/5 junction looking east. Thanks for letting us know what you think and let’s not stop now. We are always interested in hearing from you and if you have any other suggestions or feedback, connect with us on Twitter or facebook. Talk soon!